Post 176 Springfield was established in 1955 by Legionnaire Edwin Dentz, read more on our history link. Post 176 is the largest Post (sq. footage and membership) in the Commonwealth of Virginia, with well over 1500 members which include The American Legion (TAL), the Sons of American Legion (SAL), Ladies Auxiliary, (AUX) and Legion Riders. Post 176 is thriving with an outstanding Executive Committee (EXCOM), Legion family interaction, active volunteer members, and a General Manager (currently the 17th District Commander as well), who has been focusing on major capital improvements and upgrades within the Post. These are just a few examples of what creates our current Esprit de Corp which is unmatched and unparalleled. 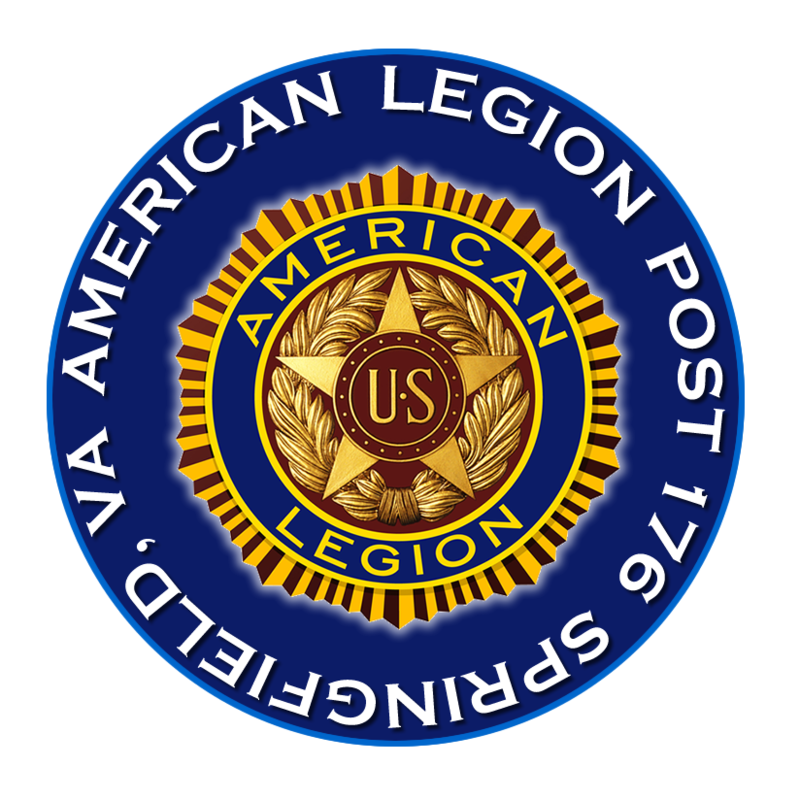 Post 176 is proud to execute the American Legion’s mission within our community by providing Veterans and their families with program support, events and ceremonies, delivered with honor, dignity and professionalism by our American Legion Post 176 family. As with any organization, it is the members that make the organization what it is! Join, transfer or become active in our Post and you will clearly understand the joy and honor I feel as a member of this outstanding organization. I encourage you to browse our website and links provided and view some of our photo albums on our Facebook site, our outstanding Post Scripts, our calendar of events (upcoming and recent) to include information on our General Membership Meetings (GMM) as well as more details on our entire Legion family. We have what I believe is one of the most outstanding weekly email announcements ever published in the history of the Post, called Post 176 E-News, which informs our members and local community leaders on our upcoming events, ceremonies and volunteer opportunities. Please be sure to provide us with your most updated email address so you can receive our weekly E-News. If you are already a member of Post 176, this website has been built for YOU, if you are already Legionnaire, but not a Post 176 member, then I encourage you to transfer into our Post and join our Post family. If you are not a member yet, then I hope this site helps you in making a decision to join the largest Veterans Organization in the country and help us make a difference by executing the Legion Mission and supporting your fellow Veterans in our community. We used to say “It’s a great day to be in the (name your Service)”, now we say “It’s a great day to be a Legionnaire”. Post 176 allows us the opportunity to truly fulfill our mission of “Veterans Serving Veterans and their Families”.